At some point every year, my thoughts turn to it. A hunger to see it, breathe the mountain air, gaze upon the abundant wildlife, dine at my favorite restaurants, and hike favorite trails, inevitably begins to gnaw. There is something to be said for the delicious stride of habit’s familiarity. Some can’t fathom traveling to the same place twice; there is indeed a great deal to see in the world. But even among those with the most severe case of wanderlust, many have a favorite destination – a place whose familiar embrace is longed for. Jackson Hole, Wyoming is that place for me. The wonder and enchantment of the mountains and the valley is constant. It’s the intrigue generated by the continual motion of rotating sensory stimulus that causes me to travel there again and again — it is never the same twice. Grand Teton National Park and Jackson Hole overlap (one of only two airports in the United States in a National Park). But I’ve broken the list down by what’s technically in the Park and what isn’t. With a map and this list, you’ll see some of the best the area has to offer. 1. Walk through Jackson Lake Lodge. The wall of windows at the back facing the Teton Mountain Range frame a spectacular view. The wildlife watching at dusk from the outdoor patio at the back is fantastic. Highway 89/191 just north of Jackson Lake Dam. 2. Enjoy a meal on the patio at Signal Mountain Lodge – the PILE of memorable (based on size and taste) nachos and the tequila lime chicken quesadilla are a must. Add insult to injury and get the chocolate pecan bourbon pie to go and one of their palm-sized homemade cookies at the checkout counter. 3. Since you’re already there, drive to the top of Signal Mountain. Teton Park Road south end of Jackson Lake. And yes, you CAN drive to the top. 4. Take the boat across Jenny Lake and walk up to Inspiration Point/Hidden Falls. Teton Park Road. 5. Take a hike. There are many from which to choose and for all fitness levels. 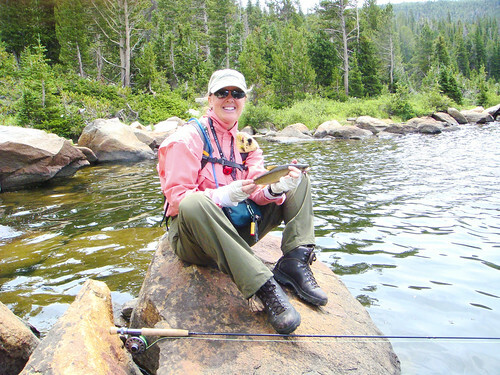 From the Taggart Lake hike of 4 miles to the all day not-for-the-faint-of-heart Amphitheatre Hike (rated very strenuous), there’s something for everyone. Taggart Trailhead – Teton Park Road just north of the Moose Entrance gate; Amphitheatre Trailhead – Teton Park Road, Lupine Meadows, north of Taggart trailhead and south of Jenny Lake. 6. 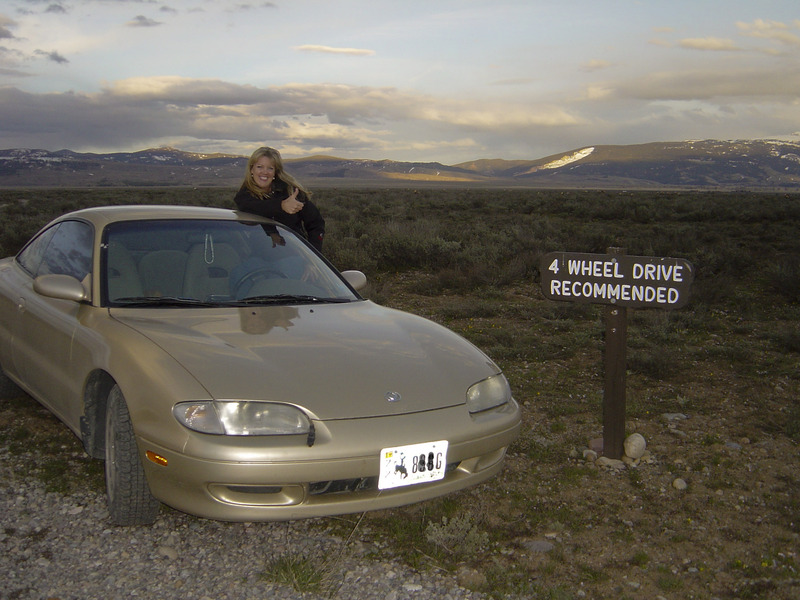 Drive to Antelope Flats for wildlife viewing. Road turns East off of Highway 89/191 just north of Moose Junction. Watch for a sign. 7. 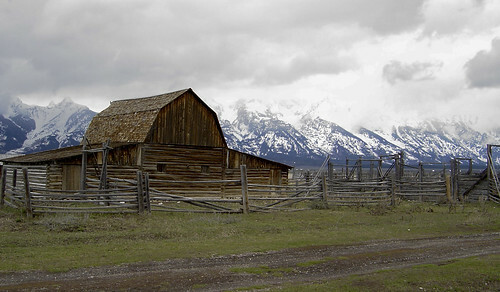 See the barns on Mormon Row for a classic view of the Tetons. 13 miles north of Jackson on 89/191, go east at the Gros Ventre Road turnoff, then head north on the first road that junctions. Mormon Row is in the southern area of Antelope Flats. 8. For scenery and wildlife viewing, find Schwabacher’s Landing. It’s a photographer’s dream. Highway 89/191 north of Moose Junction. 9. The same goes for Oxbow Bend. Highway 89/191 north of Moran Entrance Station and south of Jackson Lake Junction. 10. Find the spot where the 1953 Western film, Shane, was filmed (towards Kelly). 11. See the Gros Ventre (Grow Vaunt) Slide Geological Area. On June 23, 1925, 50 million cubic yards slid off the side of Sheep Mountain damming the Gros Ventre River and creating Lower Slide Lake. Highway 89/191 just north of Jackson and south of the airport, turn East onto the Gros Ventre Road. Follow the paved road past Kelly. 12. 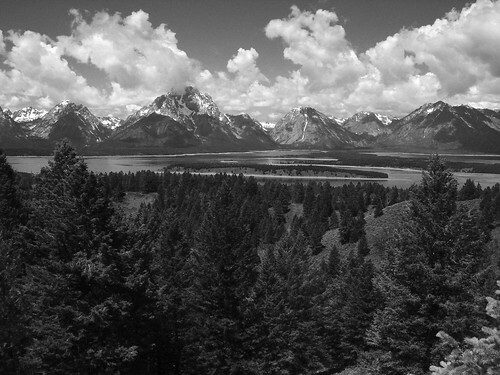 Stand in awe at the Snake River overlook made famous by Ansel Adams. Highway 89/191 north of Schwabacher’s Landing, south of Triangle X Ranch (all marked). 13. Locate the Old Patriarch Tree (about a 15 minute walk off the road). 89/191 north of Moose Junction. If you want the GPS coordinates, you’ll have to leave a comment and ask me for those! 14. Stay at a dude ranch. Any dude ranch. 15. Take a horseback ride. Anywhere. 16. 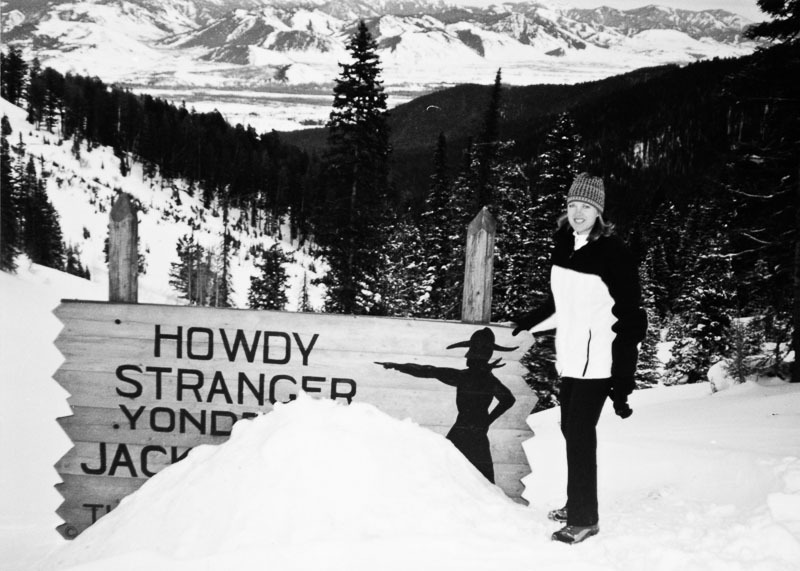 Get pictures at the top of Teton Pass (8,341 feet), in front of the famous Teton Pass sign with the cowboy pointing towards Jackson Hole (especially fun during the winter when the snow covers most of the sign). Approximately 11 miles west of Jackson on Highway 22 and just up the mountain from Wilson. 17. Speaking of Wilson: grab a cappuccino and bagel at Pearl Street Bagels (my fav? everything bagel with sundried tomato, olive oil cream cheese + an oatmeal craisin cookie) and eat it on the picnic table just out back. There’s also a Pearl Street Bagels in the town of Jackson but it lacks something (even though the food is just as good) compared to the Wilson location. Also in Wilson, eat at Nora’s. Shop at Fish Creek Interiors. Get a soda pop at the General Store. 18. See the National Museum of Wildlife Art. Just north of Jackson on 89/191. Be sure to check out the gift shop. 19. Drive to the Curtis Canyon Overlook. In Jackson behind the hospital, take the Elk Refuge Road. It’s a dirt road that makes a forced turn to the north – after that change of direction, take the first road east. Wind your way into the backcountry until you see the sign and the overlook. Great place. I once photographed an eclipse from there. And big horn sheep. 20. 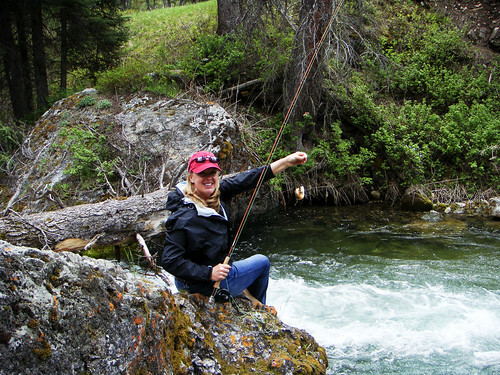 If you know how to flyfish, then wet a line here. If not, take a lesson or a guided trip. Check out Jack Dennis or several other flyshops for their offerings. 21. Take a drive on the Moose-Wilson road. Make sure you have binoculars for the wildlife. North of the airport on 89/191, take the Moose Junction exit. 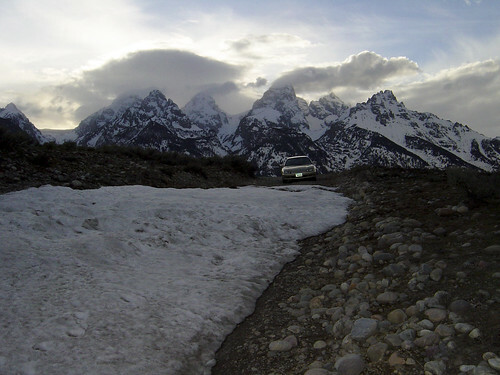 Before you get to the Grand Teton National Park gate, you’ll see a sign for the road on your left. 22. Wine tasting at Dornan’s; pizza at Dornan’s; cookies at Dornan’s (inside the grocery shop). North of airport on 89/191, take the Moose Junction exit. Dornan’s has a sign just past the turnoff. 23. Raft down the Snake River (through the Canyon). Several outfitters to choose from. 24. Chicken pizza at the Brew Pub (Snake River Brewery – downtown Jackson). Any beer at the Brew Pub – micro brewed on the premises. 26. Stay at Wyoming Inn (Red Lion Inn), or the Four Seasons, or the Snake River Lodge & Spa, or the Wort Hotel. 27. Try Pica’s restaurant near Albertsons in downtown Jackson. There’s a florist and a few other shops next to them. They have great Mexican food, terrific margaritas. The fish tacos are my favs. 28. Breakfast at Bubba’s – biscuits and gravy, pancakes – best I’ve ever had!! Great omelets. 30. The Blue Lion Restaurant! Have the stuffed mushrooms as an appetizer and the lamb shank for an entree (downtown Jackson). 33. Take in one of the many festivals. The Fall Arts Festival is in September. Film Festival in September/October. Music Festival in July and August. 34. Lunch at Sweetwater Restaurant, on the patio (downtown Jackson). 35. 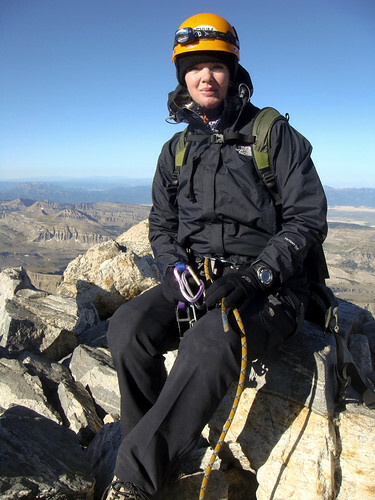 Shop at Skinny Skis and Teton Mountaineering in downtown Jackson – my two favorite shopping excursions in the world (go up the stairs in Teton Mountaineering and you’ll find their sale items). 36. Check out Cloudveil’s flagship store (they’re headquartered in Jackson). It’s on a corner in downtown Jackson, but off the square. 37. For fun, unique, home interior shopping and small colorful gifts, check out Wild Hands for really neat artsy colorful objects (downtown Jackson), Paradigm Interior Design next to Pearl Street Bagels, and Jackson Lighting. 38. Shop at The Bootlegger in downtown Jackson. 39. Take a sleigh ride on Elk Refuge in winter. 40. Order an Arnold Palmer wherever you eat (it’s a tea/lemonade mix and very Jackson). 41. Tram ride to the top of the Teton Village mountain (Rendezvous Mountain) and hike down, or NOT. 42. Enjoy lunch or simply a walk through at Teton Village’s Mangy Moose Restaurant. The Idaho trout fish and chips are memorable as is the full sized stuffed moose hitched to a sleigh hanging from the ceiling. 43. Dinner at the Bar J Chuckwagon on Highway 22 (on the way to Teton Village). You’ll get a real chuckwagon meal (fit for a king), a wagon ride, and a cowboy music show. 44. Hike to the top of Snow King (ski mountain in downtown Jackson) and if you can’t do that, take the ski lift – GREAT aerial view of Jackson. 45. Hike up High School Butte and watch the handgliders take off. 46. Find the Sleeping Indian (hint: Sheep Mountain). 47. Find the town square’s live webcam and wave to friends at home (stand on the corner near the stagecoach office and wave to the cam on top of Jackson Trading Company); sit in the town square, admire the elk horn arches (all naturally shed), and people watch. 49. Find an art gallery brochure and take a self-guided tour around the galleries located on the Jackson town square. 51. BONUS! 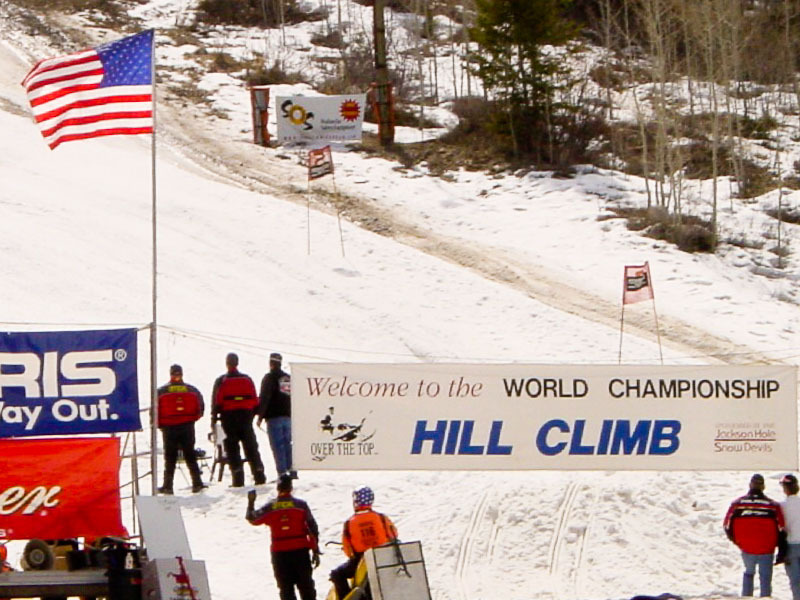 Attend the World Championship Hill Climb (snow mobiles — great fun). in dry conditions, no. if it’s muddy, maybe. if it’s raining, yes. 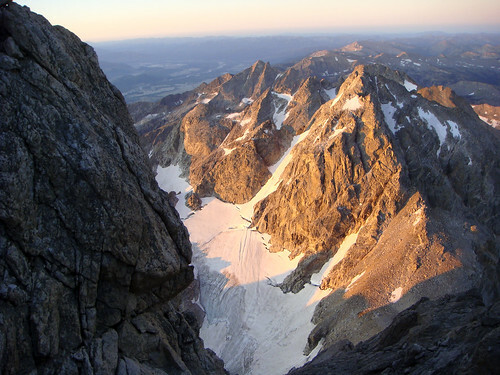 We’ve been going to the Tetons for almost ten years now and have done most of your list. Does the drive to Curtis Canyon require a four wheel drive? Can you provide the GPS coordinates for Old patriarch? I have 43° 47? 0? N, 110° 41? 51? W from another source and want to confirm before I hike out. Thanks for all these tips Tammie! I was there in October and am leaving again this weekend – this is perfect and just what I needed! yes I’m willing. just have to find them again! Can you provide coordinates for the Old Patriarch? Amazing pictures. wonderful travel tips. really good work..
Wow Tammie, my hat is off to you and your spirit. We have been throwing around the idea of taking a year to travel with the kids in a fifth wheel. I’m feeling inspired. Wow! What breathtaking scenery and such a wide and varied list of things to do. A photographers dream trip! 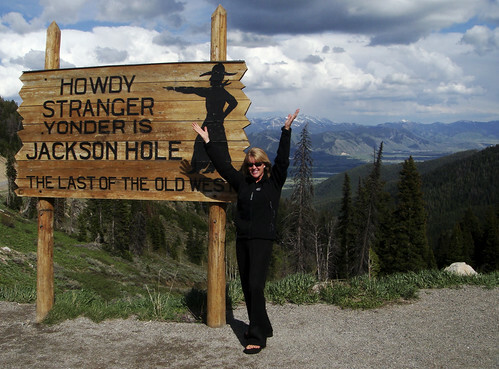 What a great list of things to do and see in Jackson Hole! You have obviously been there enough to know all the great places and things to do there. Your pictures are beautiful but the “to do list” is outstanding! Thank you! SO glad I found this! I’m heading out on a SRT to Jackson Hole this week (first time) and I LOVE to have a checklist of things to do – and NOT one published by the local Chamber of Commerce. 🙂 I also love your definition of a solo road trip. I travel alone all the time and it’s good to know I’m not the only one who does! I love it Tammie! 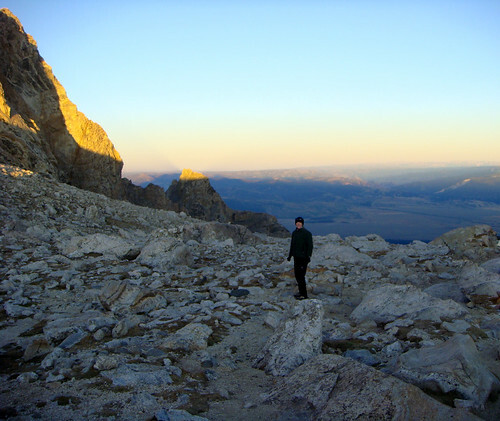 I have another SRT planned for GTNP & YNP coming up this fall. I can not wait! Thanks for the good tips. Would love, love, love to take your list and go, go, go…..right now!! Definitely one to keep for future trips. Thanks! I needed this this time last year! 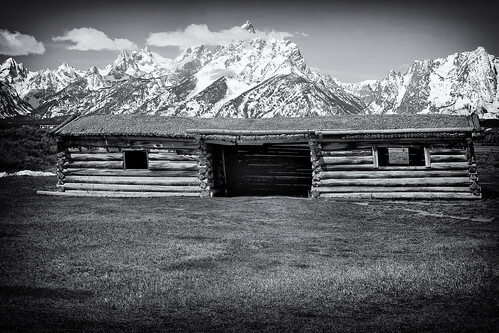 Beautiful shots, and I’m bookmarking for the next time I find myself in Wyoming.